Here is the launch gameplay trailer of Halo 5: Guardians which will hit Xbox One on October 27th.
" Experience the beginning of the greatest hunt in gaming history"? That's a weird sentence. I'm waiting for them to patch in split screen like all the other halo games have. I have to say, that I had a big ol' grin on my face when that song by Muse came on. Took me straight back to HaloMen from NewGrounds. I'm sure this will be a fun game online (they always are), but the single player for some reason just doesn't seem to have that "halo" feel to me. 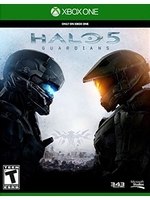 I'll still give it a shot as long as the reviews are pretty good and b/c halo 4 was so damn good, but I just don't see this as being as big of a game for some reason. Not sure that 343 have ever "raised the bar" before More like "continue to disappoint and put out okay games that don't hold up to the games that came before they took the helm", that sounds more like them. Not true at all. Halo 4 was a great game in many ways. It deserved all the high praise it got. 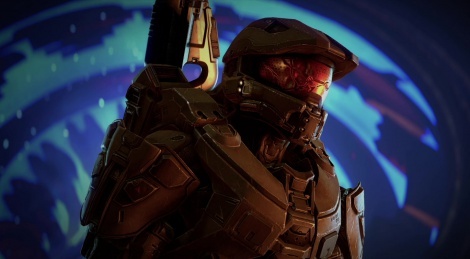 Most of Halo 4's end was wrapped up in Escalation.